Antique South Caucasian Shirvan kilim of outstanding colour and design. www.knightsantiques.co.uk Size: 9ft 4in x 5ft 9in (285 x 175cm). Circa 1880. a very good example of type, with an abrashed indigo blue ground offsetting the large medallions in soft pastel colours. 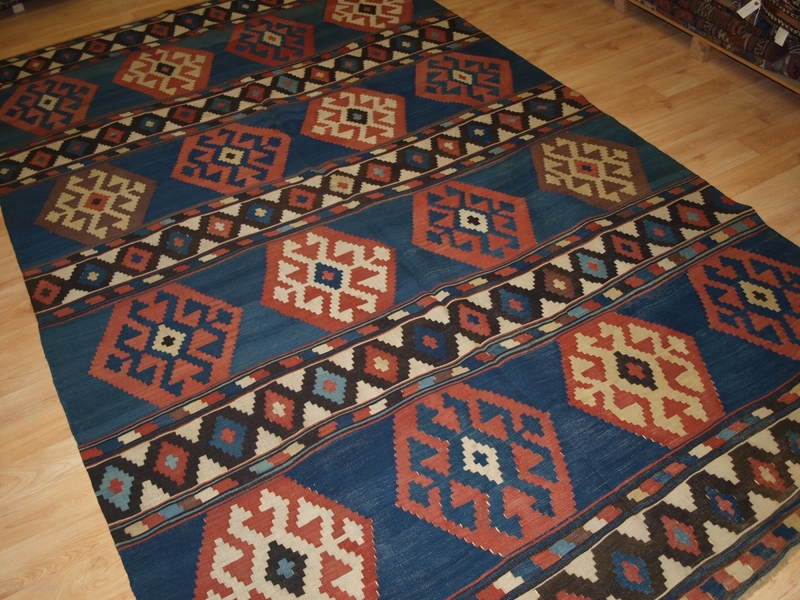 The kilim is very well drawn with a spacious large scale design. The weave is firm and dense. 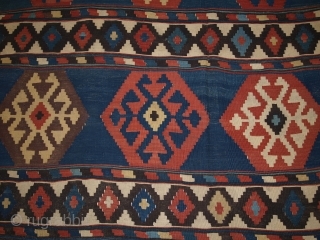 The kilim is in excellent condition with very slight wear. The kilim is suitable for normal domestic use. 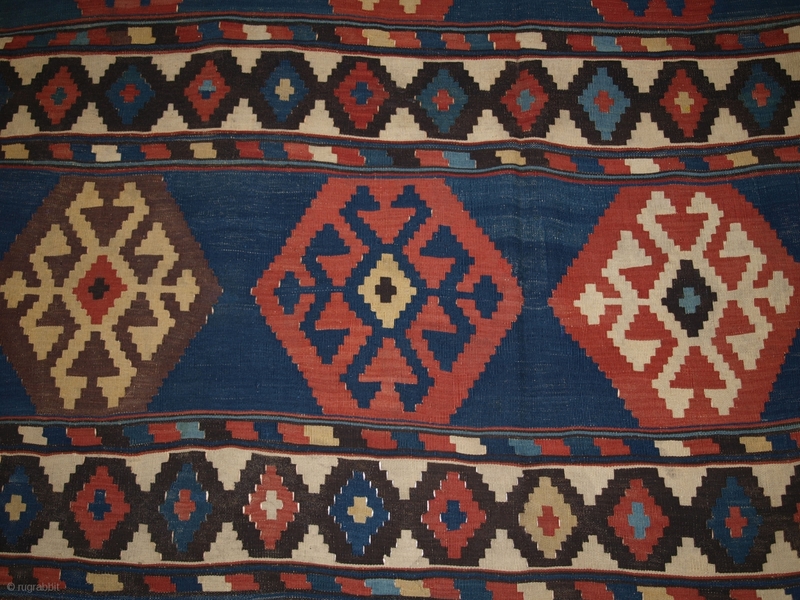 The kilim has been hand washed and is ready for use or display. Stock Number: r-838.